When I first moved to Florida in 1960, the common term used to comment on one's sanity was "You belong in Chattahoochee". That's because until 1947 it was the location of Florida's only mental institution. 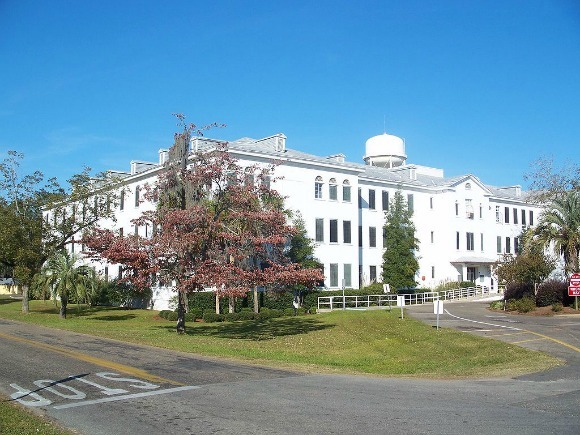 The hospital was built in 1876 on the site of an old arsenal that had been used during the Seminole Wars and the Civil War. It was originally called the Florida State Hospital for the Insane. It gained national notoriety when the U.S. Supreme Court ruled that the hospital had illegally detained one of its prisoners. The case (O'Connor v. Donaldson) resulted in mental institutions all over the country revising their practices. Today the hospital treats patients with severe mental disabilities who have been committed to the institution in a civil or forensic action. The hospital now has a good reputation. The population of the city of Chattahoochee is about 3,600. The hospital is an important part of the economy of this town, but it is also well known for its recreational opportunities. Chattahoochee is located on the far northern border of Florida. It touches the Georgia border and is only a few miles from the Alabama border. 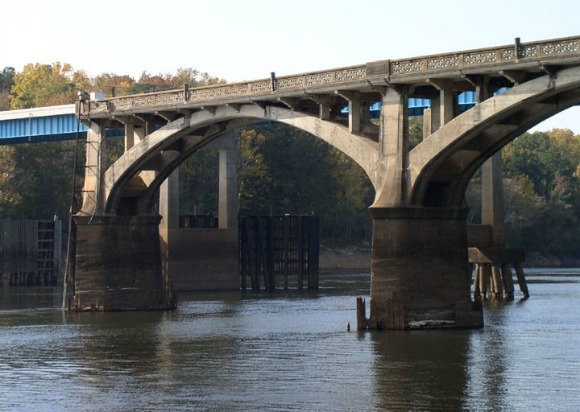 The town is located where the Chattahoochee River and the Flint River come together to form the Apalachicola River. The Chattahoochee flows through Atlanta and Columbus in Georgia, and Eufala, Alabama on its way south. The Flint flows through Albany and Bainbridge, Georgia. The rivers come together in Lake Seminole, a lake formed by the construction of the Jim Woodruff Dam. 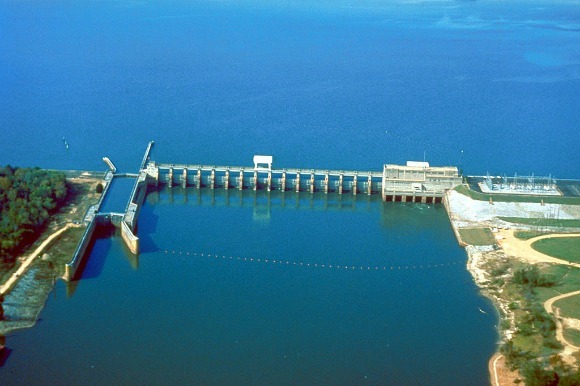 The dam produces hydroelectric power and includes a lock for marine traffic to navigate up and down the river systems. From the dam, the Apalachicola River flows south nearly 100 winding miles to the Gulf of Mexico. The City owns and operates a nice recreational vehicle resort and campground on the Apalachicola River, and the area has several motels in town and adjacent towns. 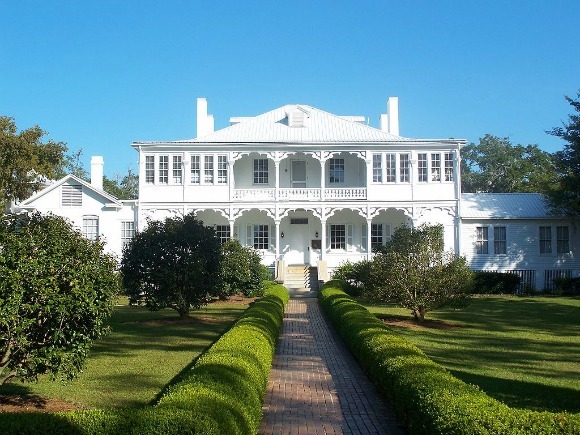 It is also only a few miles south of Three Rivers State Park and not far from Tallahassee's Lake Talquin State Park. The Victory Bridge carries US-90 over the Apalachicola River just downstream of the Woodruff Dam. It replaced the original Victory Bridge that was opened in 1922 and named to commemorate the Allied victory in World War One. The bridge served until the 1960s. Parts of the bridge remain beside the new bridge. The Florida State Hospital Administration Building is on the National Register of Historic Places. It is one of the many historic buildings that fill this small town and its hospital that now cares for more than one thousand patients. 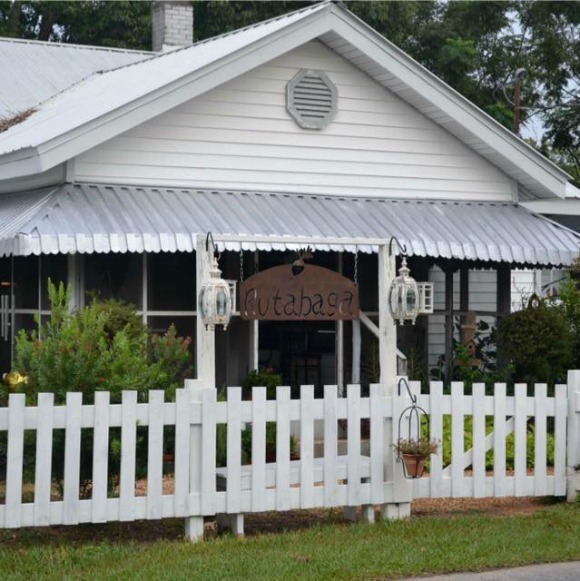 One of the things we love about traveling on Florida's back roads is finding great restaurants in small towns. Rutabaga Cafe is definitely one of those places. 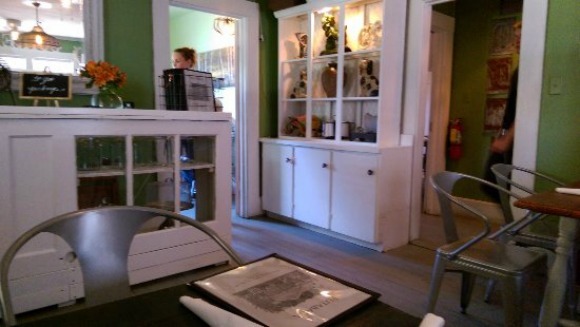 It is in a cozy old house repurposed into a restaurant that serves lunch and dinner. Although is is a fairly new business, it already has a satisfied happy clientele. The menu gives you plenty of choices whether you prefer steaks or seafood. The lunch menu is loaded with many good salad and sandwich choices, and entrees include Shrimp n Grits, Seasame Ginger Chicken, Sesame Crusted Ahi Tuna. One of their many sandwich choices is a Shrimp Po Boy served with traditional Gambino New Orleans Bread. Dinner choices begin with appetizers including that old Southern staple, Fried Green Tomatoes. Other choices include Lump Crab Cakes and Oysters Parmigiano. The dinner menu lets you know you are in a fine dining establishment: They serve Poisson, Boeuf, Cochon, and Poulet. For you country folk that means seafood, beef, pork, and chicken. The meals are served in imaginative and tasty ways. They have Red Snapper, as Seafood Platter with tuna, shrimp, oysters, and crab cakes. Their beef selections are prepared from Certified Black Angus and include Filet Mignon, Ribeyes and a surf and turf special. Their pan fried chicken breast is a favorite. For the kids, they have grilled cheese and fried shrimp. Service is friendly and fast, but it might be wise to call for a reservation in the evening as they get pretty crowded at time. Rutabaga Cafe serves lunch from 1100 to 230 (Tuesday-Friday), and dinner from 500 to 930 (Wednesday-Saturday). No alcohol is served in this restaurant, but they don't mind if you bring your own bottle.